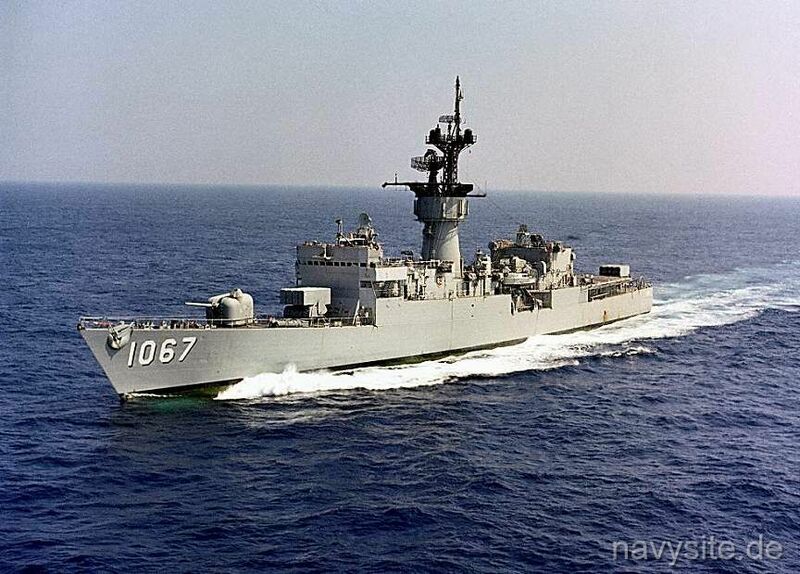 USS FRANCIS HAMMOND was the 16th KNOX - class frigate. 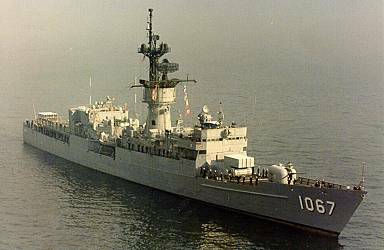 Decommissioned on July 2, 1992, and stricken from the Navy list on January 11, 1995, the FRANCIS HAMMOND was later sold for scrapping. Scrapping was completed on March 31, 2003. This section contains the names of sailors who served aboard USS FRANCIS HAMMOND. It is no official listing but contains the names of sailors who submitted their information. 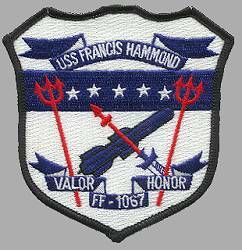 Click here to see which USS FRANCIS HAMMOND memorabilia are currently for sale on ebay. 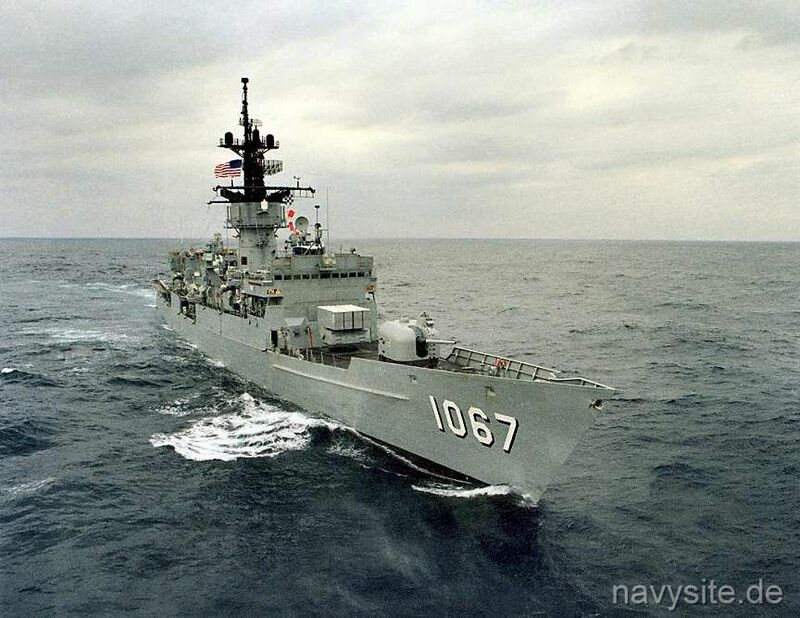 The USS FLETCHER (DD 992) strikes the USS TOWERS (DDG 9) and the USS FRANCIS HAMMOND causing minor damage while attempting to moor alongside the two ships.